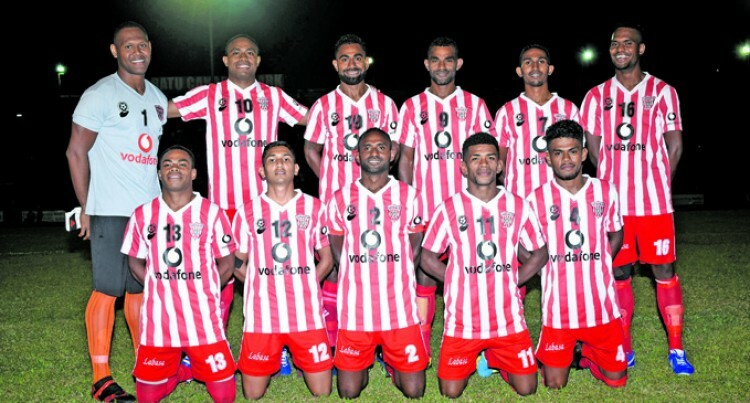 Defending Vodafone Fiji FACT cham­pions Rewa and Labasa stand a good chance of qualifying to the semifi­nals from Group A. At the end of the second day of competi­tion both teams have got four points and will only need a draw today to qualify while Ba and Dreketi have a slim chance of going through. Last night, Ba had to rely on veteran mid­fielder Malakai Tiwa to score the equaliser against Labasa as they settled for a 1-1 draw while earlier on Dreketi held Rewa to a scoreless draw. Labasa coach Anand Sami told SUNsports that have a few areas to work on before they take on Rewa today. Meanwhile, it is still open in Group B.
Lautoka coach Kamal Swamy said they are confident of beating Tavua today to make it to the semifinal. ‘We are confident and we also know Tavua is going to give us a tough go since they have a good chance of qualifying as well,” Swamy said. Suva will have to beat Nadi to secure their spot as the Tuka Tisam- coached side have found their winning form. Nadi head coach Babs Khan said they are not going to give up as they know a win over Suva is going to give them four points and a chance to qualify as well. “We’ve a plan and we will focus on our fin­ishing,” he added. Nadi 1-2 Tavua, Labasa 2-0 Dreketi, Lau­toka 1-0 Suva, Rewa 1-0 Ba, Suva 1-0 Tavua, Rewa 0-0 Dreketi, Lautoka 0-0 Nadi, Ba 1-1 Labasa.